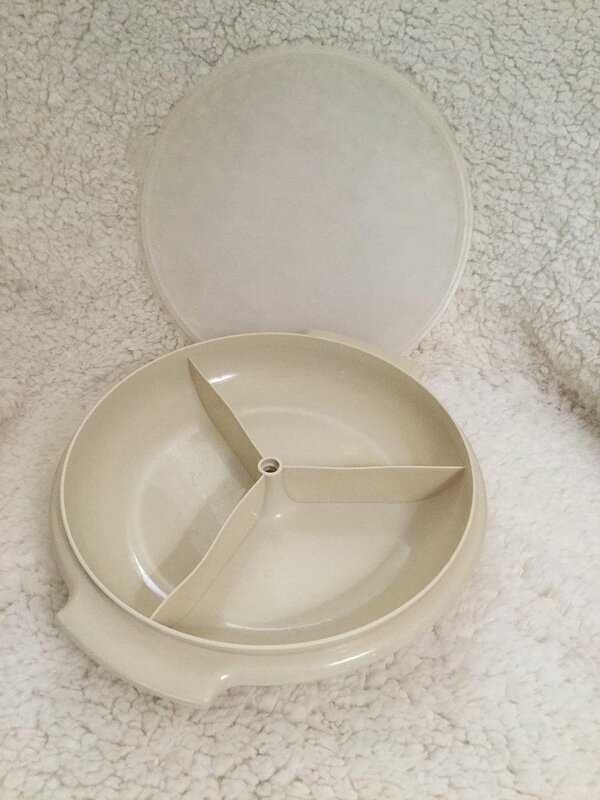 Vintage Tupperware Almond Suzette Three Divided Tray w/Lid No Hand. Item#608-18 DOES HAVE SURFACE SCRATCHES. INDICATIVE OF AGE AND USE. TRAY VERY GOOD CONDITION. I SHIP YOUR TRAY THE SAME DAY ORDER. HAPPY SERVING.